Sergey Teterin (b. 1969) - russian media artist. He lives and works in the Perm city at Urals region, Russia. In the past, he was organizer of "Read_Me 1.2" software art festival (2002, director) and "Machinista 2003/2004" media art festivals (director, curator) in Russia and Scotland; participated in a lot of media art exhibitions and festivals in Russia, Germany, Austria, UK, Yugoslavia, Denmark, Latvia. 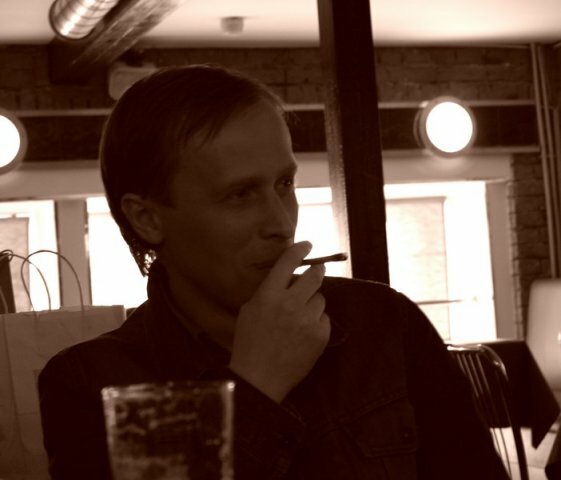 Now Sergey Teterin collaborates with CYLAND MediaLab (Saint-Petersburg, Russia). This is an artistic laboratory created by St. Petersburg Arts Project Fund, New York.